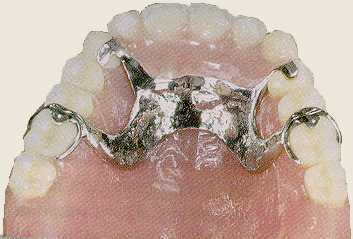 Over time, adjusting the partial denture may be necessary. As you age, your mouth naturally changes, which can affect the fit of the denture. Your bone and gum ridges can recede or shrink, resulting in a loose-fitting denture. Partial Dentures that do not fit properly should be adjusted by your dentist. Loose partialdentures can cause various problems, including sores or infections. See your dentist promptly if your denture becomes loose. Part of this page Adapted from Website: "ada.org"
This site is not affiliated with qualitydentistry.com. Select link to visit this site directly.